Annie is using Smore newsletters to spread the word online. Are you ready for a challenge? UNICEF'S main mission is to reach ZERO violence, hunger, preventable deaths, poverty, etc. What do YOU believe in? 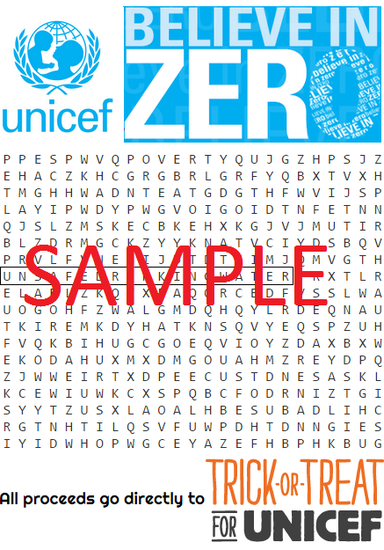 Buy & complete our 'IBELIEVEINZERO' word search and trade it in for a FREE delicious treat at our bake sale on Friday. Word search will be sold throughout the week for only 25 cents! Contact any officers/boards.